Authorized Retail Dealer of a wide range of products which include remote installation - antennas, presence plus interface modules, safe speed monitoring modules, programmable safety controller, muting safety modules and remote optical amplifier series. This antenna mounts remotely from the box, with the Sure Cross device mounted inside the box. 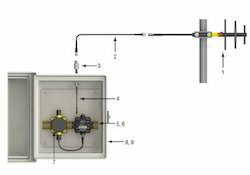 This situation may be used either inside or outside the building, though a Yagi antenna is usually used in outdoors applications while an Omni-directional antenna may be used either inside a building or outside. Interface modules provide an interface between user's hardware and Presence PLUS sensors or lighting. Modules work with Banner STB self-checking touch buttons or can be retrofitted with existing mechanical palm buttons to create a complete, ergonomic two-hand control system. To ensure reliability, modules have a diverse-redundant microcontroller circuit and multiple redundant, force-guided (mechanically linked) output contacts. Anti-tiedown logic requires that both touch buttons are activated within one-half second of each other. Ac and dc voltages are available: 24V ac/dc, 115V ac/24V dc or 230V ac/24V dc. 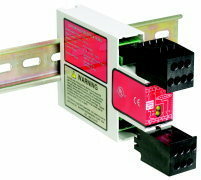 Modules are available with two or four normally open (NO) safety outputs. 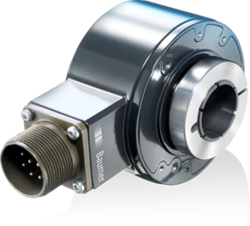 Non-safety auxiliary outputs are available on some models. 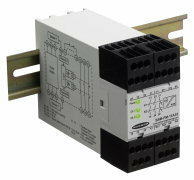 Modules meet Safety Category 4 per ISO 13849-1 (EN 954-1) and functional Type IIIC two-hand control per EN 574. 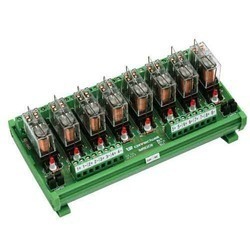 Removable terminal blocks allow convenient wiring and exchange of modules without rewiring. 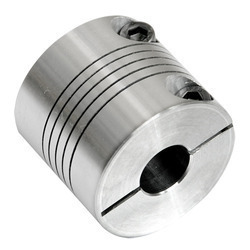 Optional mute inputs allow release of actuating buttons during the non-hazardous portion of the machine cycle. 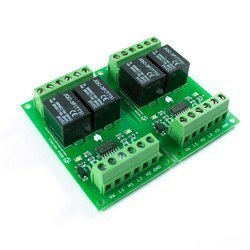 Available kits include module and two STB touch buttons. STB touch buttons are far more ergonomic than mechanical and difficult-to-activate capacitive buttons. Our company is engaged in offering a comprehensive range of Multihop Radios.The SureCross® MultiHop Radios extend the range of an industrial wireless sensor network. Each radio may be set to act as either a master radio, a repeater radio, or a slave radio. Refer to the 3D Models page to download AutoCAD, STEP, IGES, and PDF models. MultiHop Data Radios Use the following manuals for the MultiHop Data Radios. Quick Start Guide: 152653. 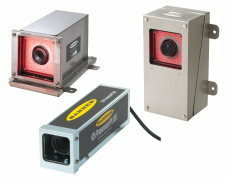 Enclosures protect emitters/receivers and corner mirrors from dirt, chemicals and impact. Heavy-duty enclosures provide rugged protection for mirrors and EZ-SCREEN Grids and Points in high-traffic areas. Explosion-proof enclosures protect EZ-SCREEN, MINI-SCREEN and MICRO-SCREEN light screens in environments with flammable gases, liquids or dust. Tubular enclosures guard EZ-SCREEN and MINI-SCREEN light screens in high-power washdown environments. 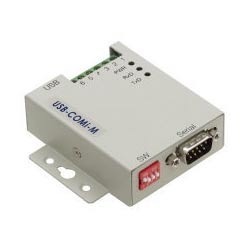 Modules monitor up to 10 external devices for contact failure or wiring faults. Module goes into lockout mode if it detects a fault. Available voltages include 24V dc; 24V ac/dc; 115V ac or 12 to 24V dc; or 230V ac or 12 to 24V ac/dc. 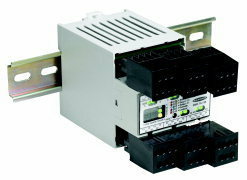 Modules monitor positive-opening E-stop and interlock switches. 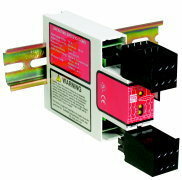 Models are available with 2 to 4 normally open safety outputs, depending on module. 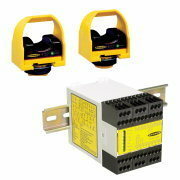 Safety outputs are rated 4 or 6 amps, depending on module. 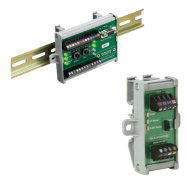 Non-safety auxiliary outputs are available on most modules. Modules are available with an adjustable output delay of 0-20 or 0-200 seconds, depending on module. Two modules allow central monitoring and control over a DeviceNet control network. Ratings are NEMA 1 and at least IEC IP20. Bright red and green LED indicators show module's operating status. *Device Net­ is a trademark of Open DeviceNet Vendor Association, Inc. 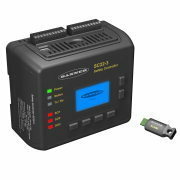 Looking for Machine Safety Modules ?